Boy and Girl were giving a talk at their local Nature Watch club on the topic of bumble and honey bees. Clarks Honey came to the rescue by providing some tasters. Plenty of enthusiastic big and small volunteers to put the clear blossom, acacia, orange blossom and lavender variants to the test. 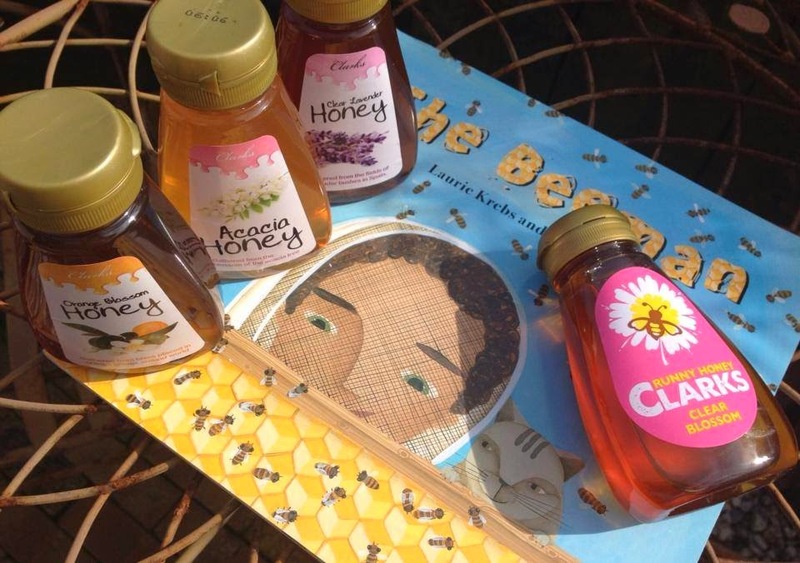 Overall favorite was the Runny Honey Clear Blossom but all the others had their fans. 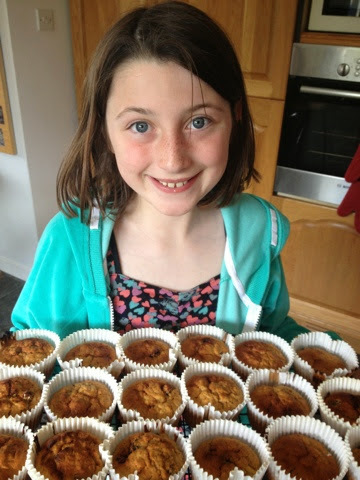 Girl baked up a batch of Honey & Apple Muffin for the group to enjoy. Winning muffins as it turned out as she was awarded the Golden Spoon by Sunday Baking Club. 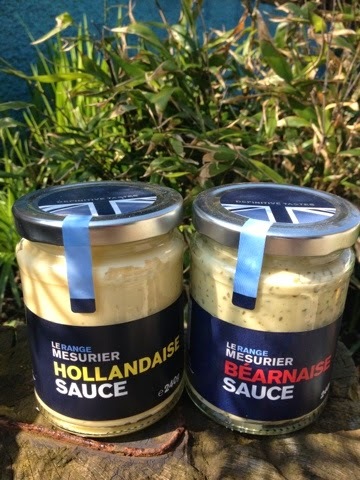 Hollandaise and Bearnaise can only mean one thing. 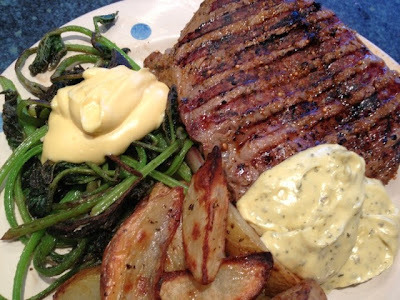 Steak and Asparagus. A juicy rib eye from the local butcher was procured but instead of Asparagus I took a walk on the wild side and foraged for Common Hogweed shoots. The sauces turned an already good Saturday night dinner into a great one. Both were fantastic. Boy and foodie loon gave them the thumbs up too. Much easier than making from scratch but taste every bit as good as homemade. Tablet conjures up many childhood memories for me. My Grandma Corntown was a prolific maker of it for sales of work but hers came with an unexpected added ingredient. The unmistakable stench of ciggarette smoke. No such pollutants in the wonderful tablet handmade by Katie Bryce. 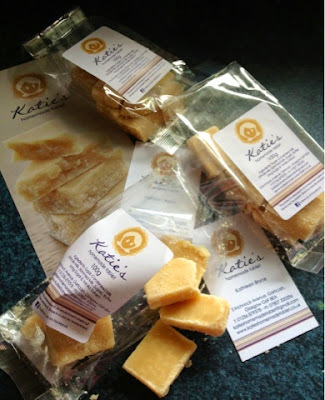 Butter, Sugar and Condensed milk are the holy trinity of Scottish tablet. Its not something that I've ever made myself. I've seen and tasted too many disasters. No shortage of volunteers to try out the samples I received. Rich, smooth and buttery with not a hint of grainy-ness. Tablet perfection. Just like Granny used to make - but without the smoke. 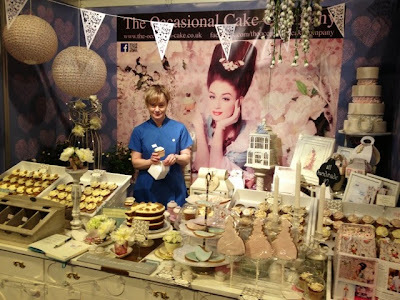 The family and friends who told Katie time and time again that she should start a small business were right. My recent coastal foraging exploits showed me how tricky it is to harvest seaweed. It's a very labour intensive process to say the least. In ancient gaelic culture a rock with a crop of dulse seaweed on it was valued as much as a cow. Seaweed has had somewhat of a resurgence in popularity of late and now appears on many top restaurant menus. Mara does the hard work for you so you can then use this umami condiment to enhance your cooking. 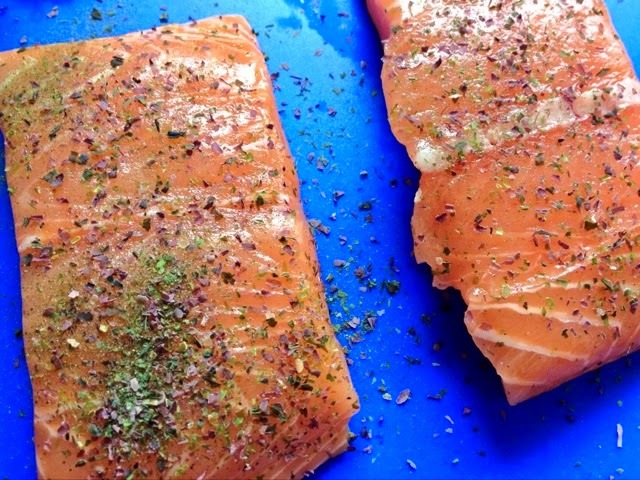 We tried it sprinkled on salmon which worked very well. It can be used in a multitude of dishes both sweet and savoury. A flavour well worth adding to your culinary repertoire which also provides a healthy alternative to salt. 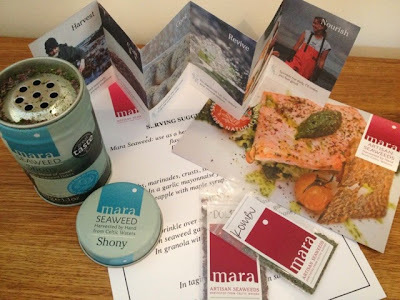 A trip to Glasgow to visit the Ideal Home Show Scotland resulted in a fab bloggers goody bag with a great mix of products from exhibitors at the show. 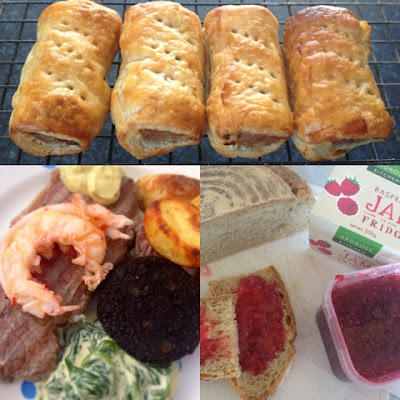 Those of a foodie nature included sausages, chocolates an iced biscuit and a tea towel. I wasted no time in getting the Heck sausages on the BBQ. Fat, juicy and oh so tasty. 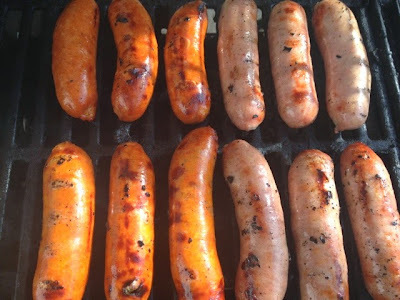 The Smoky Chorizo style were particularly fantastic. Still got a pack stashed in the freezer for another sunny day. Gorgeous Tea Towel from Rhubarb & Ginger Textiles. Fantastically colourful stylised foodstuffs abound on their range of aprons, teatowels, placemats, cushions and napkins. 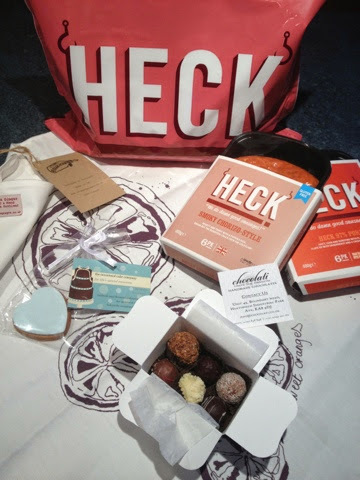 A lucky dip of delicious chocolates from Chocolati of Ayr provided a sweet treat whilst a beautiful embossed iced biscuit from The Occasional Cake Company completed the selection of foodie goodies in the bag. Their Marie Antoinette themed stall was my outright favourite at the IHSS. Beautiful to look and and wonderful to eat. 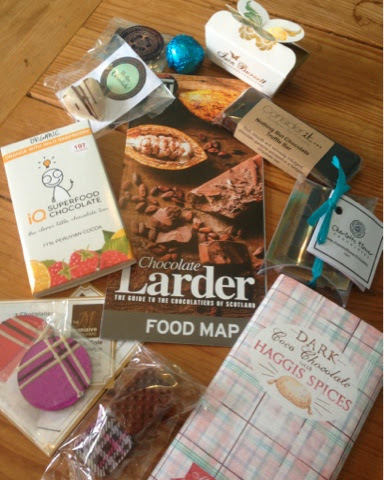 Unfortunately the launch of the Chocolate Larder Map: The Guide to the Chocolatiers of Scotland clashed with my trip to Ladies Day at Perth Races however they sent me an abundant goody bag to make up for it. A fantastic selection of 78 Scottish Chocolatiers feature on the map of which an online version can be found here. Who knew there was so much chocolate in Scotland? I was particularly intrigued by the Dark Chocolate with Haggis Spices from Coco Chocolate and girl absolutely loved the blingy Tartan Chocolate from The Moniaive Chocolatiers. 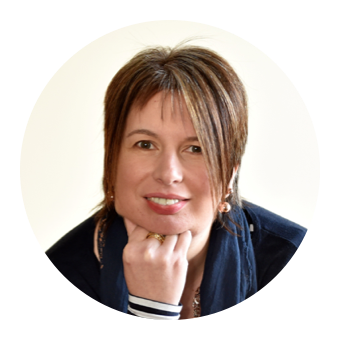 For me the best taste sensation came from the amazing Scots Pine and the Fresh Wild Mint chocolates from Charlotte Flower Chocolates. A fantastic box of delights arrived from Farm Shop and Deli of the year 2014 Ardross Farm who follow me on Twitter and apparently like what I have to say! 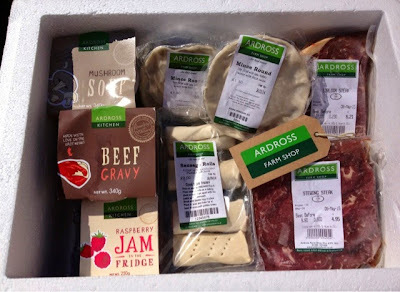 Everything in the box was made in their own kitchen using homegrown or locally sourced produce. The sausage rolls were immediately popped in the oven for an after school treat. Girl declared them the best ever and believe you me she is a sausage roll officianardo! The stewing steak and gravy we made into a hearty stew with lots of root vegetables and barley. Delicious. The steak got the surf and turf treatment with a local lobster. Girl tucked into her own individual mince round at this point. Homemade bread baked by boy was the worthy recipient of the Raspberry Jam. Only a single mince round and a tub of mushroom soup remain in the freezer for another day. Can't wait to visit the farm shop in person on my next rip to the East Neuk. Sounds like a real haven for food lovers.